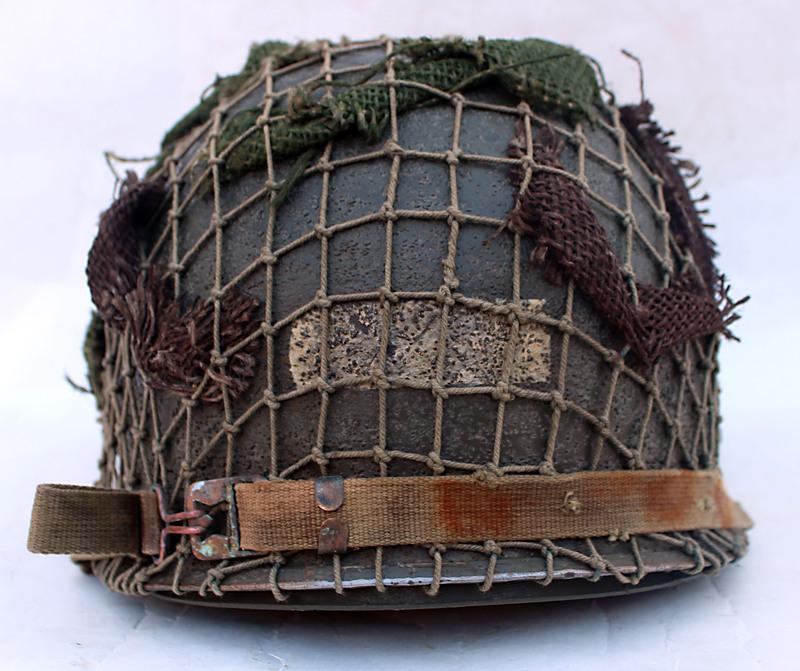 The restoration here was done to reflect the helmets typical of paratroopers after Normandy. 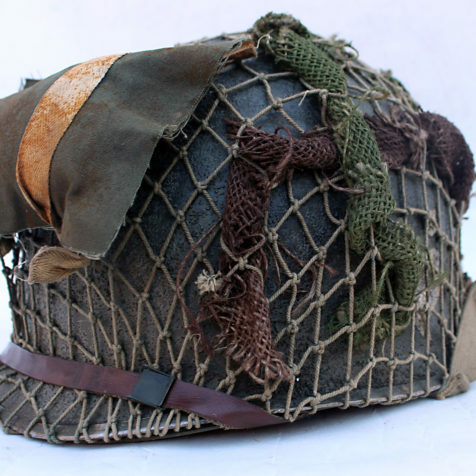 In early 1943 production was ceased on M2 paratrooper helmets. Due to this As early as Normandy there simple wasn’t enough para helmets to go around. 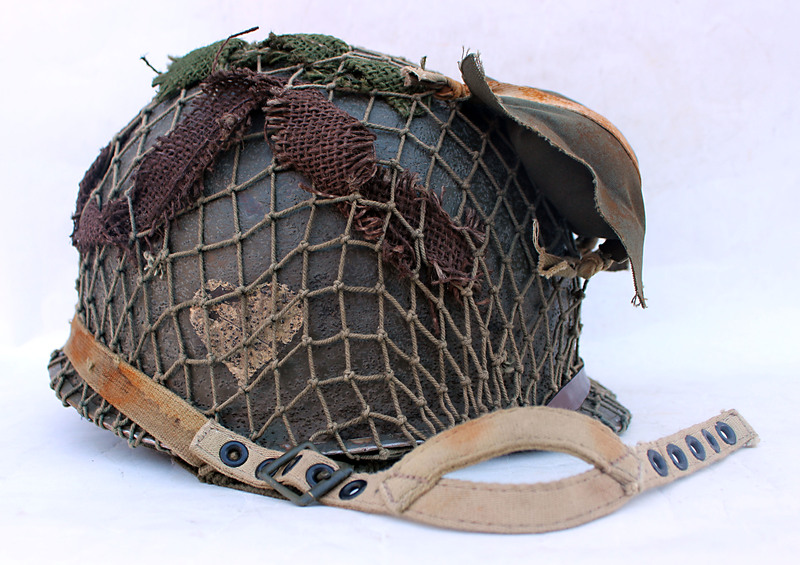 The solution was to issue regular Infantry M1 fixed bale helmets pared with a jump liner. In the case here the helmet was fit with a 2nd pattern Westinghouse jump liner. The liner is original WWII production. 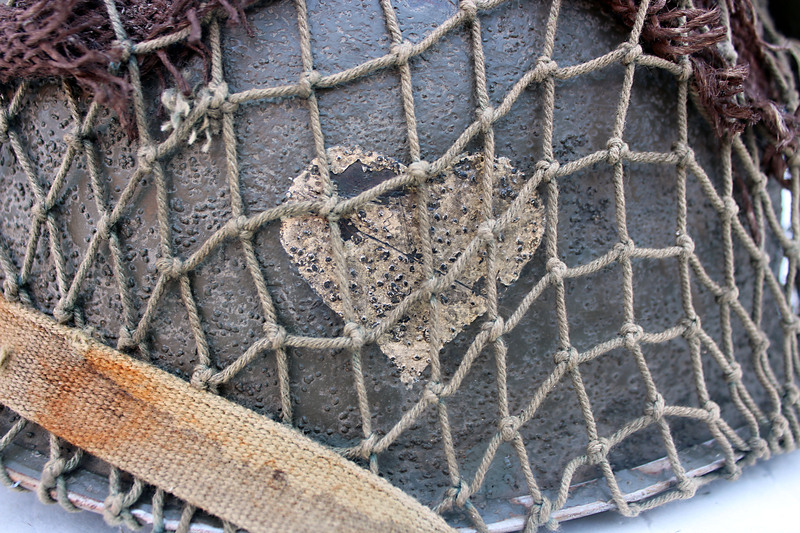 It was rebuilt with new webbing, original 1944 production blackened A washers, and O.D. #7 Westinghouse A-yokes. The baby durable snaps are Dot marked as all originals were. The O.D. #3 web chinstrap is a variant that came out in 1944 to replace the leather versions. These were quite common by Market Garden. 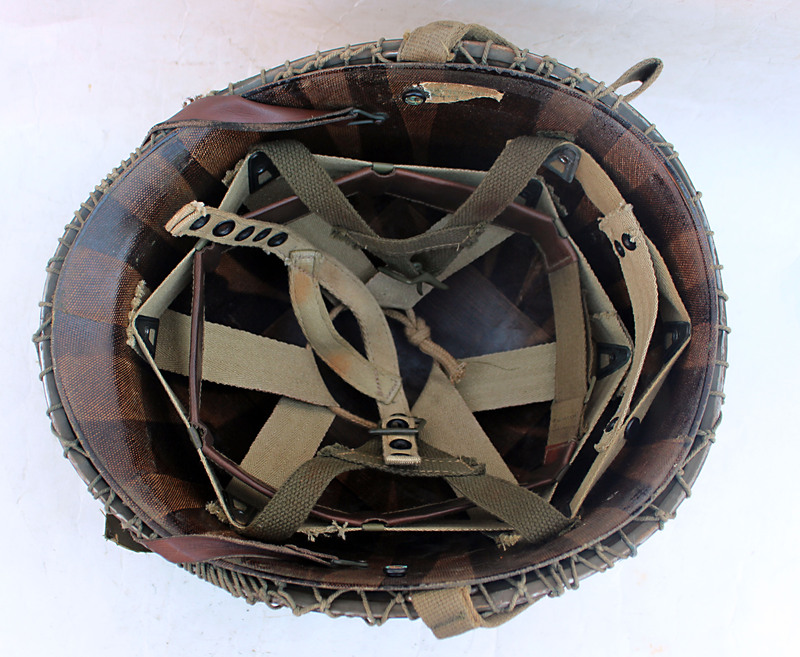 The helmet was then fit with a net, scrim and a 1st aid pouch tied to the front as was frequently done by American paratroopers.